Stove top beef stew recipes are the best dish to warm the rainy days. 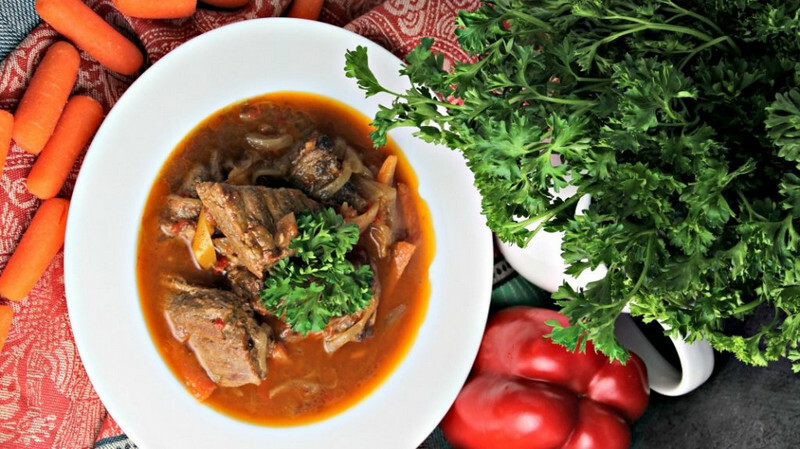 When the tenderness of beef meets the savouriness of the herbs, it will results a delightful beef stew flavour. Then, the vegetables can add the nutritional value to the stew. As the first step, combine soy sauce, mustard, and red wine in a large bowl. Put the beef and onions into the marinade. Coat the beef with marinade sauce until the meats are fully coated. Seal the beef with a plastic wrap and let it sits in a refrigerator for 2-3 hours. Get it out of fridge half an hour before cooking then ditch the onions and the sauce. Heat the meat in a large pot with a medium heat until it is brown. Then, put the beef on a plate. Moreover, cook the garlic and the leftover onion for a minute. Put the beef, tomato paste, beef broth, Worcestershire sauce, bay leaves, salt, paprika, and pepper into a pot. Wait for 1 ½ hours. Cook the red peppers and carrots for 30-40 minutes with low heat. Put the salt and pepper into the broth. Boil the gravy until well cooked. Put the herbs to increase the flavour. Well, the homemade beef stew recipe enables us to be creative in cooking this dish. You are allowed to add or lessen the herbs. Next, you are able to make the broth thicker by adding corn starch. As a note, the stove top beef stew recipes iare better served immediately after cooking to get an enjoyable taste. This article has given you the steps and ingredients to make this stew. Surely, stove top beef stew recipes are the best recipe to accompany the chilly days. Related Post "Stove Top Beef Stew Recipe to Warm the Chilly Days"